Born in Bristol, Pocock first went to sea in 1766, commanding a merchantman named Lloyd. Already an amateur painter, sketching his life at sea in his ship's logs, he decided to follow his artistic talent when he married in 1780. 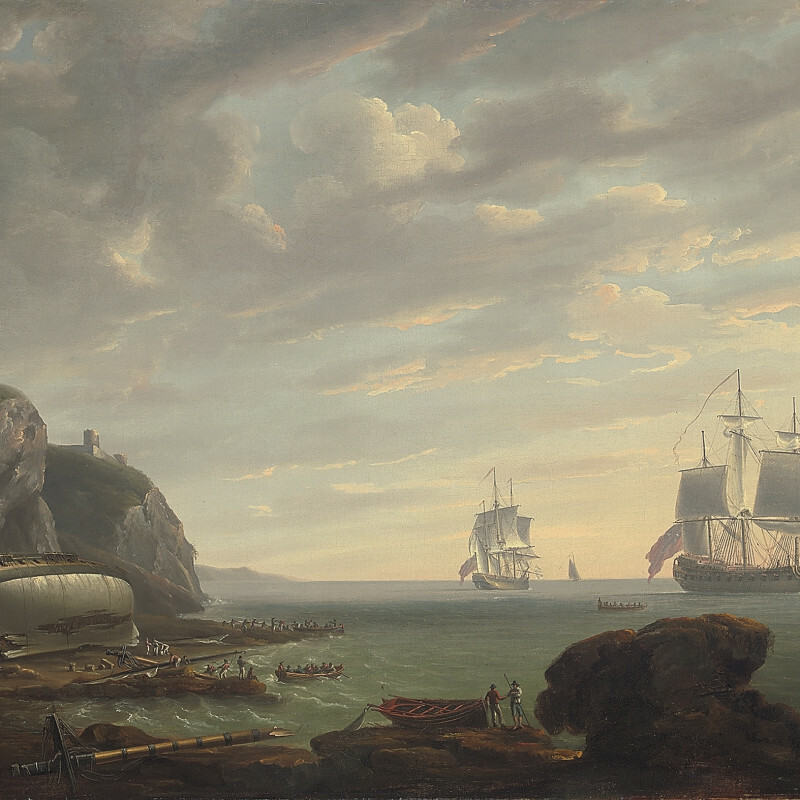 Within 9 years he had moved to London, and eventually, after considerable competition from Thomas Luny (1759-1837) and Thomas Whitcombe (1752-1824), became the successor to Dominic Serres (1722-1793) as the best marine painter in Britain. He witnessed at first hand the Battle of the Glorious First of June in 1794, and thereafter recorded many naval actions from the Napoleonic Wars. This watercolour probably depicts a French frigate being pursued by an English armed cutter and, astern of her, a brig. The French ship is firing her stern guns in order to slow down the English ships and enable her escape.